COME ONNN. 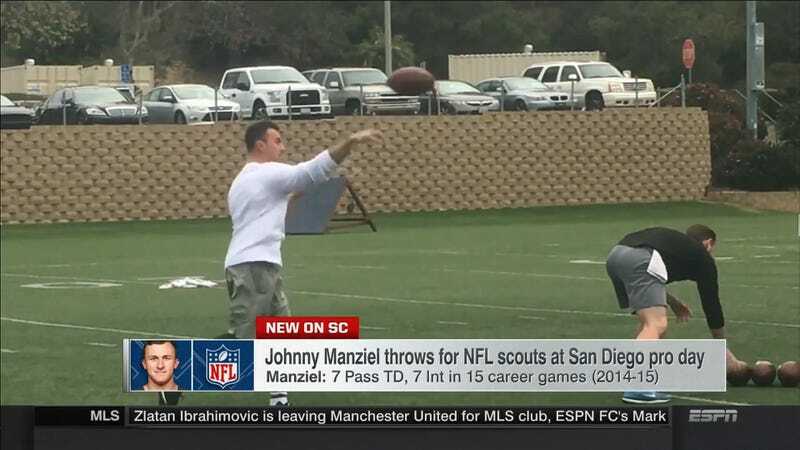 Johnny Manziel has been out of the NFL longer than Colin Kaepernick, and yet the ex-Browns flameout can get team scouts to at least sniff him. Manziel wasn’t even able to sign with a CFL team! Meanwhile, Kaepernick is reduced to private throwing sessions in front of no one who can give him a job while he gets Texans owner Bob McNair and other NFL employees deposed for the QB’s collusion case. The NFL teams’ collective refusal to recognize the existence of Kaepernick is still horseshit, no matter how long it’s been since he last played.